The keel laying ceremony for the Victoria Mekong cruise ship is set for January 4, 2019 at the SSIC Shipyard in Ho Chi Minh City. This is the first ship amongst many planned ships under a Joint Venture between Thien Minh Group (TMG) and Wendy Wu Tours (WWT). 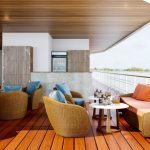 Victoria Mekong has 35 beautifully designed cabins and will begin operations on December 11, 2019, offering three and four-night cruises between Can Tho, Vietnam and Phnom Penh, Cambodia. The Victoria Mekong has received SB (Inland water – Coastal line) classification and will sail under the Vietnamese flag. Designed by VISEC and constructed by SSIC, the ship will measure 76.8 meters in length and 13.2 meters in width and have 4 decks, able to accommodate up to 70 passengers. 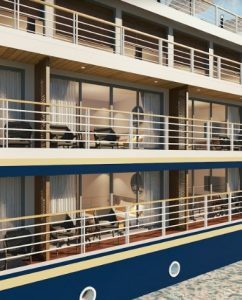 Equipped with state-of-the-art facilities, the Victoria Mekong will offer passengers a unique itinerary and a “green” experience plying the waters of the Mekong Delta between Vietnam and Cambodia. Booking is now opened for the first 6 cruises in 2019 with several surprises and for 2020 cruises at www.victoriamekong.com.